Data Recovery from Memory Card, Flash Card, xd card, microsd card, cf card, MMC, SM(Smart Media), MiniSD etc. 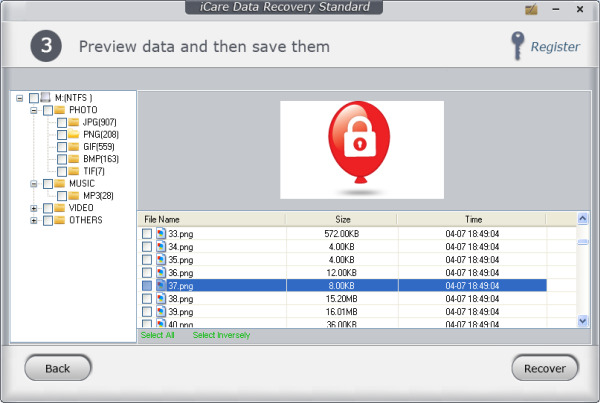 Working as an comprehensive data recovery tool, iCare Data Recovery is able to restore files whenever your memory card has data loss. SM card, celluar phone, smart phone, MP4, MP3 and other digital media that carries memory and stores files and photos etc. Usually memory card stays FAT32 with its file system, however things odd would happen like when you plug your memory card to your computer, it shows RAW format and even ask you to format it while there were photos there. This could be caused by virus or memory card reading errors, boot sector damaged etc. How to restore files or access files when memory card reports RAW? The only solution is to restore files with some recovery tool like iCare Data Recovery. There is no possiblity that you could fix the raw error by yourself. If your files have some backup copies, then you can forget the file restore, just format the memory card and then take new photos, but your old photos would be gone forever if you take new photos after format. Usually there are great chance for file recovery even you have memory card raw and did the reformat. 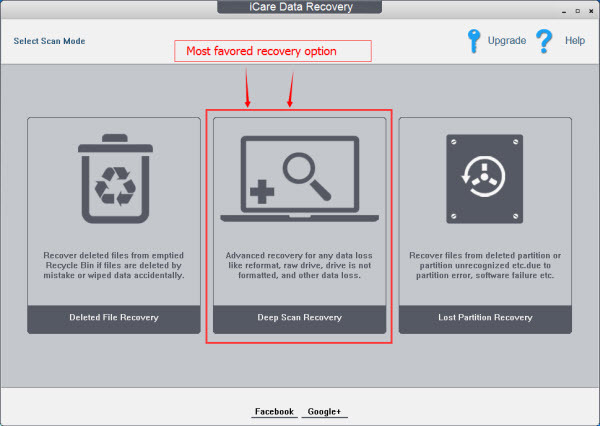 iCare Data Recovery is read-only program that won't write any data to your lost drive if you did not install it on the lost drive. It is built with special data searching and tracking method which reads data on the device you specify without touching the files. To recover files from memory card or any storage card like sd card, cf card, xd card, minisd card, microsd card... you need to connect it to a Windows running PC and then run iCare Data Recovery and the program will handle the rest for you. Here is how data recovery was performed to restore files. Select a possible drive that contains your files and let it build file structures for recovery.